Have you read and agree with the liability waiver? 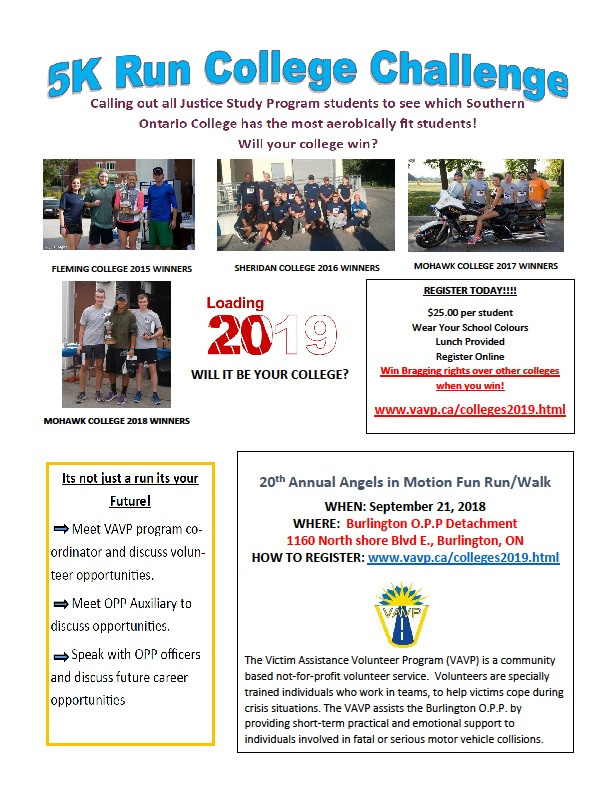 In consideration of the acceptance of my registration and the permission to participate as an entrant or competitor in the Angels n Motion Run to be held on September 21, 2019, I , for myself, my heirs, executors, administrators, successor and assigns, here by release, waive and forever discharge the City of Burlington, The Region of Halton, The Race Director, the Victim Assistance Volunteer Program, Ontario Provincial Police and all other associations, sanctioning bodies and sponsoring companies and all their respective agents, officials, servant, contractors, representatives, successors and assigns of all and from all claims, demands, damages, costs, expenses, action and causes of action, wither in law or equity, in respect of death, injury, loss of damage to my person or property how so ever caused, arising or to arise by reason of my participation in the said event, whether as a spectator, participant competitor or otherwise; whether prior to, during or subsequent to the event AND NOTWITHSTANDING the same may have been contributed to or occasioned by the negligence of any of the aforesaid. I further hereby undertake to hold, save harmless and agree to indemnify all the aforesaid from and against all liability incurred by any or all of the tem arising as a result of, or in any way connect with my participation in the said event. | attest and verify that I am fully aware of the physical risk of injury or death in participating in this event and voluntarily agree to accept full responsibility and legal liability for same and that I am physically fit and have trained sufficiently for this event. I am also aware that the weather conditions on the race day may be unpredictable thus posing an increased physical risk.